Canada is a top-notch destination encased with world’s longest coastline. It is recognized as the best place to live and study for its largest metropolitan cities, civil rights, multicultural environments, quality education system, outstanding landscapes and many others. Apart from its diverse culture and traditions, the country is also well-known for wide-range of employment opportunities. A skilled worker who possesses special skills and abilities can easily migrate to Canada, compared to other developed nations. Immigration to Canada is not a tough task, as the rules and regulations involved in its application process are very easy compared to other nations. If you are willing to move to this peaceful nation for higher education, work or for visiting, know more about the Canada immigration by surfing net or by approaching any of the professionals. Good news for individuals who are planning to move to Canada the coming month, as the country’s government is about to launch a new system called Canada Express Entry for individuals who possess special skills and abilities. The main motto of this program is to recruit more number of skilled workers and to assess more skilled immigrants’ credentials willing to come to the country. Individuals who does not possess offer letter can also apply for this program by registering themselves in the job bank provided by the country. Here the country’s government, as well as the employers who are looking forward for skilled candidates can choose the workers from job bank based on the individuals’ skills and abilities. And the selected candidates in the job bank will be invited to move to Canada through express entry immigration program, Canadian Experience Class (CEC), the Federal Skilled Trades Programme (FSTP) and Federal Skilled Worker Programme (FSWP). How to be on top in the express entry list? 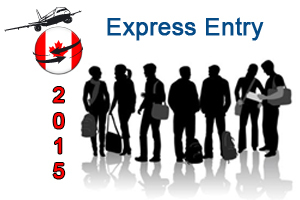 If you are planning to migrate to Canada through express entry program, one must be top in the entry list. Once the individuals submit his or her requests through online, their potentials will be compared with other individual’s credentials to offer a rank. Here an individual can update their skills and abilities when required to score more points over the time. Competitiveness in credentials sounds more in this new system. Well, candidates are ranked as per the points based system, known as Comprehensive Ranking System. However, in case if an individual accompanies spouse or any of common-law partners, then he or she will be awarded 460 points for above mentioned factors. Work qualifications of an individual will be measured under ‘skill transferability’ i.e. on education, language ability, Canadian work experience, non-Canadian work experience, certificate of qualification in a trade and language ability for awarding 100 points. If an applicant is able to obtain job offer from the concerned Canadian employer, then he or she will be able to score 600 points to easily apply for permanent residency of the country. To rank top in the list one must be eligible to possess all the special skills that are listed above for hassle-free immigration. do we need ielts for canada express entry system? Looking fro Job in Canada.